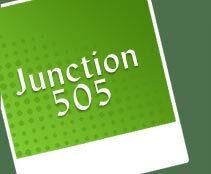 Formerly called Geranium Junction, we changed our name to Junction Five-O-Five in 1991, merging with 505 Personnel Services. Junction Five-O-Five is a private, not-for-profit business organized to aid people with disabilities. Provided by a volunteer board of directors who are elected to serve three-year terms. Junction Five-O-Five Board of Directors schedules 9 monthly business meetings annually. Intellectual disabilities, autism, hearing impairment, seizure disorder, blindness, cerebral palsy, speech disorder, behavioral disorders, physical impairments, emotional disabilities, and chronic mental illness. Financial statements are prepared monthly by the office manager and distributed to board members.